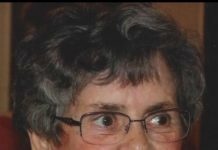 Westborough – Louise M. Tyler, 92, passed away Thursday, Jan. 26, 2012 at the Radius Health Care Center in Worcester. She was the wife of the late S. Parker Tyler. Born in Boylston, she was the daughter of the late Everett and Rae (Mead) Winch. She was educated in Worcester, graduated from Shrewsbury High School, and attended Becker College. Mrs. Tyler was employed as a secretary for Kessley & Morse in Worcester and in later years as a driver for Dodd and Tyler Co. prior to her retirement. She was a member of the Congregational Church of Westborough and volunteered at the Westborough Healthcare Center for over 21 years. She is survived by two sons, Peter A. Tyler of Westborough and Craig W. Tyler and his wife Anne of Woodstock, Conn.; one sister, Shirley Waddell of North Carolina; and two grandchildren, Stephen P. Tyler and Laura A. Tyler. Her funeral service will be held Monday, Jan. 30, at 11 a.m., in the Congregational Church of Westborough, West Main Street, Westborough. Burial will follow in Pine Grove Cemetery. Calling hours are Sunday, Jan. 29, from 2 to 4 p.m., at the Rand-Harper-Pickering Westborough Funeral Home, 62 West Main St., Westborough. Donations in her memory may be made to the Congregational Church of Westborough Memorial Fund, 8 Church St., Westborough, MA 01581.